When you get a new dog, it’s natural to want to spend most of your time playing with your pet pooch, but those first few weeks are crucial for training. The behaviour your dog learns at an early age will stick, and it’s hard further down the line to get them out of any bad habits that they form. As a result, it’s vital that you stay on top of a dedicated training routine for your new dog in these early stages. To help you out, here are five top training tips that you can follow to get you started. Perhaps the most important training tip for a new dog is to use positive reinforcement. This means that whenever your pet pooch follows an order that you make, you should reward them with affection or a treat so they know they’ve done the right thing. Psychologically, the dog then learns to associate good behaviour with a treat or a reward, making them more likely to behave well in the future. When training a new dog it’s easy to become overly focused on the bad things your animal does, but it’s just as important that you remember to show your pet that you appreciate their good behaviour too. Being consistent with the house rules you set is very important for your dog’s behaviour, so ideally you want to establish these before you bring your pet home for the first time. As an example, you might want to keep your dog out of your bedroom, which means you’d need to start closing the door if you usually leave it open. Dogs will naturally want to explore, so they will see an open door as an invitation, and if they have been to a particular part of the house before they will not understand why they are not allowed there again. So that your new dog does not get overwhelmed, it’s a good idea to introduce them to your home slowly, perhaps by letting them into new rooms one at a time so they can gradually get used to their new surroundings. Think about whether or not you mind your dog being on your furniture. If you want them to stay off your chairs and sofas, never encourage them on to your lap when you are sitting down. If you can, you should give your dog their own private space which they can use for sleeping or whenever they need some time to themselves. Dogs like a firm routine, so if possible, feed them at the same time every day. This way they’ll know when they can expect food. Remember to choose dog food that is suitable for your pet pooch. There is no point feeding them a type of food that is particularly high in protein if they are going to be shut inside for most of the day. Your vet will be able to give you plenty of advice on the right type of dog food to give to your pet pooch. Do not underestimate how important dietary considerations are to the health of your four-legged friend. Treats are okay, but remember to give them in moderation. Keep them hidden in a place where your pet pooch will not be able to get to them. Keep an eye on whether your pet is enjoying their food and treats, too; if not, you might need to switch to a different product or brand. Being able to read your pet’s body language is key, and there are a few signs to look out for when you are training your new dog. The tail is one of the best indicators of your dog’s mood. Wagging typically indicates pleasure, of course, but a slow wag can instead mean they are angry. If the tail is held low it may mean your pet is scared or nervous. 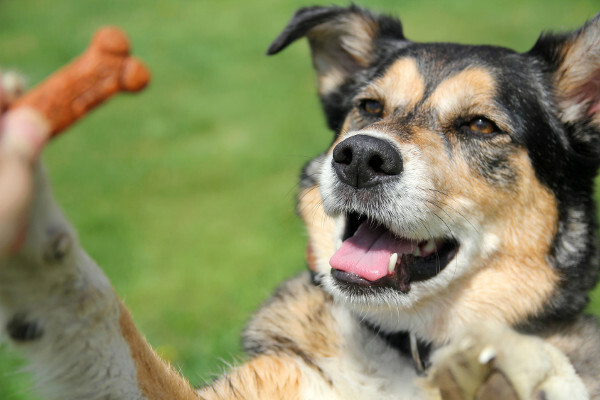 Raising a paw is usually a sign that your dog is in the mood to play, while it is clear what they want to do if they bring one of their favourite toys to you. Remember that your pet is learning from your own body language, too, so be aware of how you hold yourself when you are in your dog’s presence. Finally, it’s crucial that everyone in the house be consistent when training your dog. It’s great if everyone joins in with training your new pet, but they need to use the same commands with the same tone of voice, or the animal may get confused. Make sure everyone is sticking to the same house rules, as your dog will quickly learn what they can get away with from certain family members. Now that you’ve taken a look at these top tips, it’s time to put what you’ve learnt into action. Remember to be calm and patient with your dog and work hard initially so that you can spend time in the company of a well-trained dog later on.